A Mexican recipe that my kids really enjoy; and I do too!! !, even so milk does not like me as much, I still gave me the pleasure of a cup at night. What really calls my attention is the similarities of this drink with drinks that we have in my country, as well as drinks from other central america countries, but researching a little, we all have Spain in common; and this Drink of Gods as some people call it have it's beginnings in Spain, everybody's Madre Patria. Make sense, because cinnamon and vanilla beans, came with them to the Americas. The use of grains like barley, seeds like sesame seeds, nuts like almonds, they all have something in common, we can make fine flowers with it, the change to rice it probably came with the time and cost, as well as costumes from other cultures. The adding of the milk to it mostly came from central america countries on a way to make the milk more nutritious, and to make 1 quarter of milk into a drink of 3 or 4 quarter and still give nutrition to the kids. 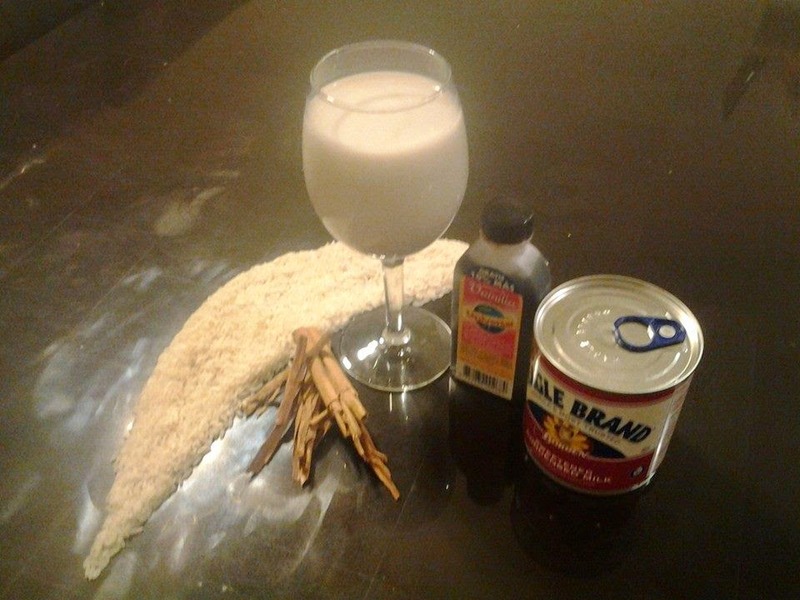 in my country the milk was still left out, and mix with alcohol spirits is transform in what we call chichas. If someone knows something new, please comment. Enjoy this really good drink, my kid's nanny was from El Salvador, and worked at a Mexican restaurant, she thought me this long ago. 1. The night before: Soak the rice with the water, the cinnamon and vanilla inside the blender cup, (at least 1 hour). 2. After the hour, blend thoroughly, about 2 minutes; and keep in blender over night. 3. The next morning, add the rest of ingredients and blend thoroughly again. * adjust the sugar, cinnamon and vanilla to your preference, as well as water, some people adds more water to make 1 gallon. * If you do not have Sweet Condensed Milk, exchange for 1 can of Evaporated Milk and 2 Cups of Sugar.